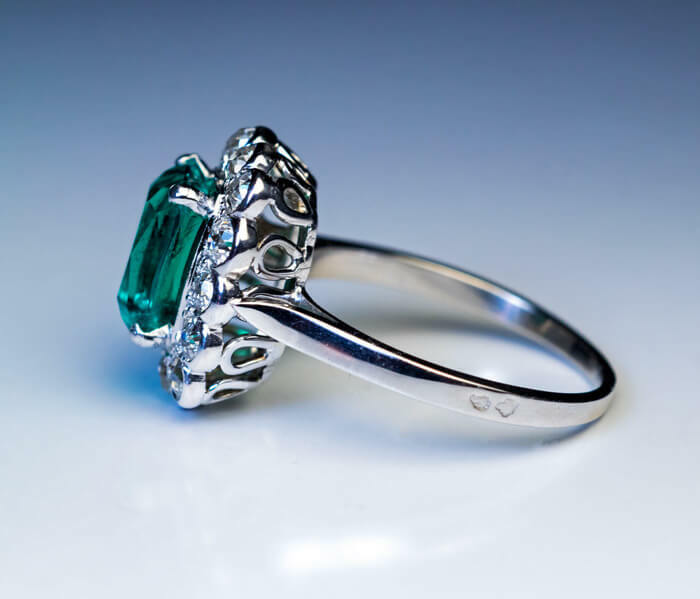 This vintage French platinum (head) and 18K white gold (shank) engagement ring features a very rare untreated 2.31 ct Colombian emerald. 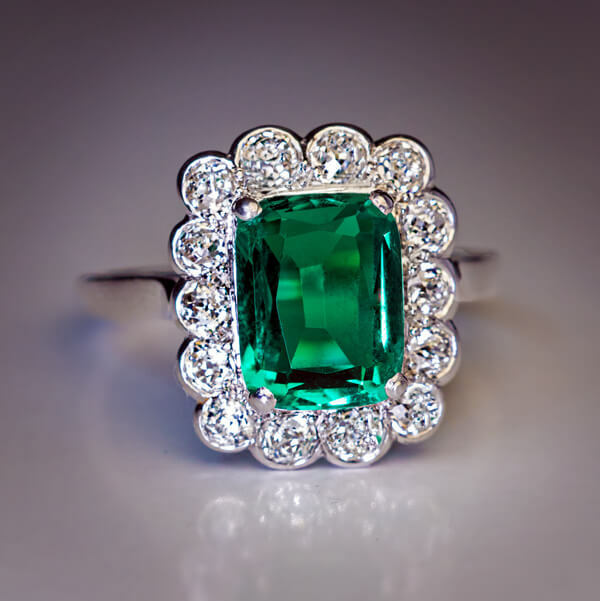 The cushion cut emerald is extremely clean and full of life. The center stone is framed by chunky old European cut diamonds (H-I color, SI clarity). Estimated total diamond weight is 1.12 ct. 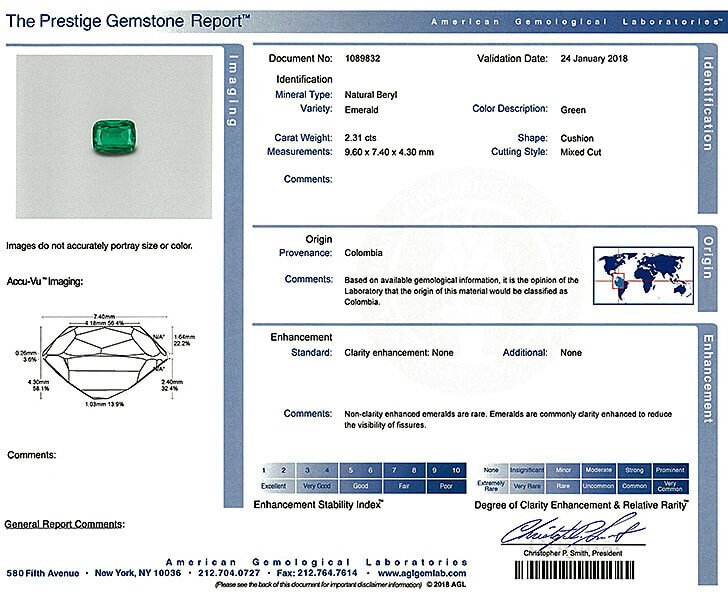 The emerald measures 9.60 x 7.40 x 4.30 mm. 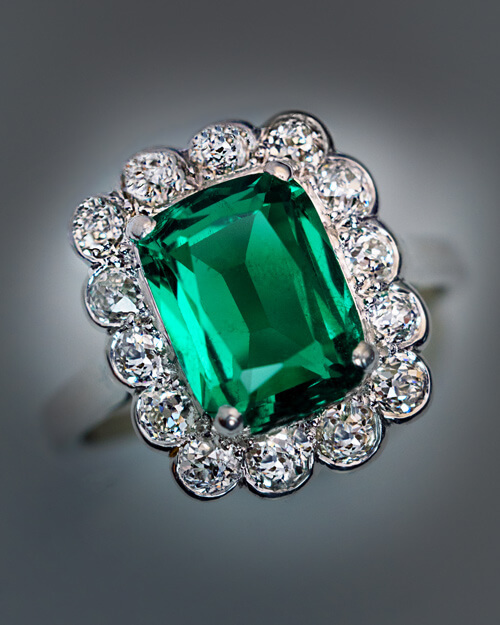 Majority of emeralds are treated to reduce the visibility of fissures. According to one Colombian emerald dealer, less than 0.1% of of all Colombian emeralds are not treated. 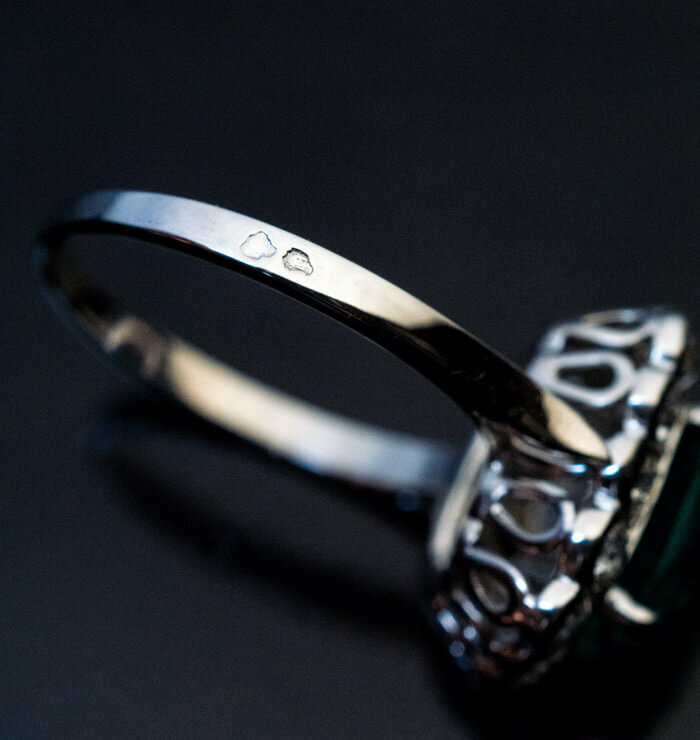 The ring is marked with French eagle’s head and dog’s head assay marks for gold and platinum. The ring comes with AGL Prestige Gemstone Report No. 1089832 for the emerald.